Living with ADHD is hard work! ADHD is a difference, not a disorder, but frequently leads to many problems of mental health, low educational attainment, lack of motivation, poor organisational skills, relationship issues, money and housing worries. We offer: a fortnightly Support Group; information packs; confidential discussion and support by email, telephone or face-face; coaching and training. 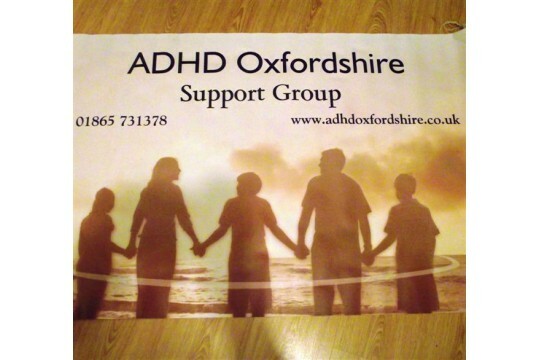 We are the only voluntary organisation in Oxfordshire offering help specifically for Attention Deficit Hyperactivity Disorder. Through our work, we help families with an ADHD chld to live a less isolated and stressful life through information, contact with others, support group and training days. For adults with ADHD we provide strategies and encouragement along with the opportunity to meet and discuss with others in a safe and welcoming environment.